The days are winding down to the Big One. Your Christmas shopping cash is almost gone, the credit card is all but maxed and you still need a present for your daughter's teacher . . . and maybe one for the intern at work. But what can you get that'll be appreciated and won't break the bank? Well, if you're in Princeton, you're in luck. The Princeton Record Exchange is internationally famous for its enormous selection of used vinyl albums and CDs. Stacked inside are thousands upon thousands of vintage and rare recordings in every conceivable genre. Your daughter's teacher likes classical? The selection of gently used classical CDs boggles the mind. That intern at work mentioned he owns every Bob Dylan disk in existence except the live one recorded at the Gaslight in 1962? Here it is for $2.99. And the exchange has a huge selection of pre-viewed movies, too. Owner Barry Weisfeld moved the store to its present home at 20 South Tulane Street in 1985 when, after five years, it had outgrown a smaller space at another location in town. The Princeton Record Exchange is the darling of numerous articles and blogs from around the world. Even if you're not shopping for a holiday gift, stop in. 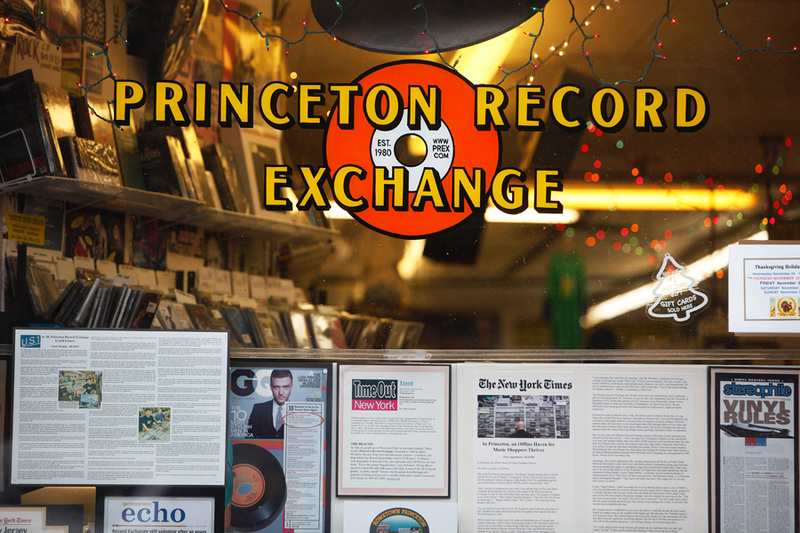 This Princeton icon is a veritable museum of recorded music history.